It’s been a hot minute since we’ve visited the girl squad of Nonnatus House, and boy are we happy to see them again. 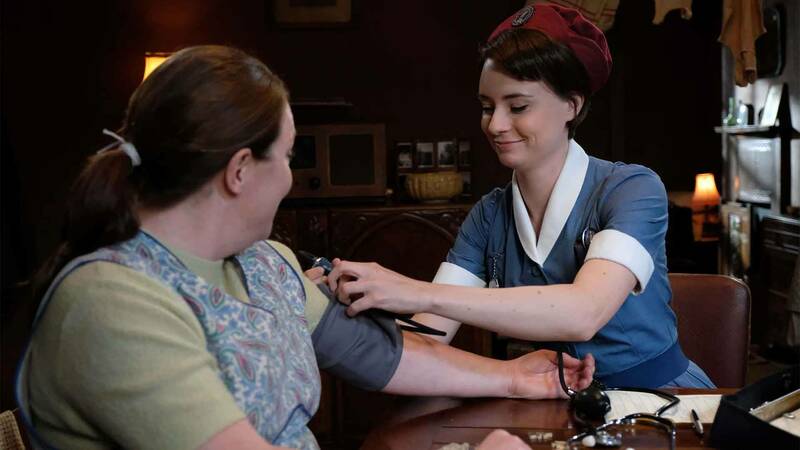 After a seven-month-long hiatus, we return today to bring you a recap of this year’s “Call the Midwife Holiday Special” as the women reunite to celebrate Christmas together. So soak up all those British accents and Sister Monica Joan commentary while you can, because you only get this one episode to hold you over until Season 7, which premieres this spring 2018 — womp. Let’s begin, shall we? 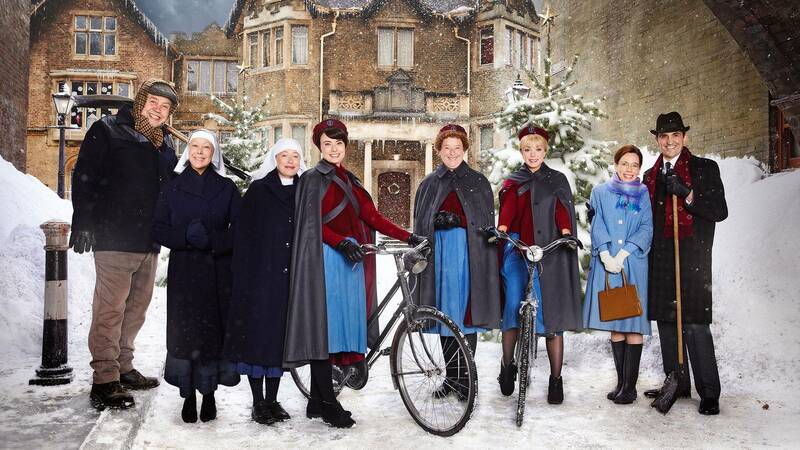 Winter is in full swing in Poplar, and while we’re missing a few of our show favorites like Sister Mary Cynthia and Patsy Mount, the rest of the gang is finally back together to sleigh slay the holidays. 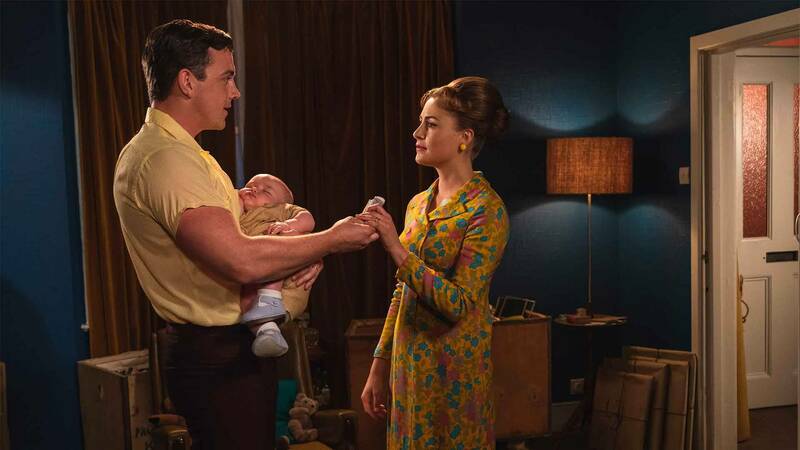 The Turners are enjoying their first Christmas with newborn Teddy, Reggie is home to spend time with Fred and Violet, and the midwives are taking a moment from their hectic lives saving Poplar for a house gift exchange. After all, everyone can make time for presents. And while we can only imagine what someone like Nurse Crane might gift to Trixie, or Trixie to Sister Julienne, Sister Monica Joan was the real winner this year. 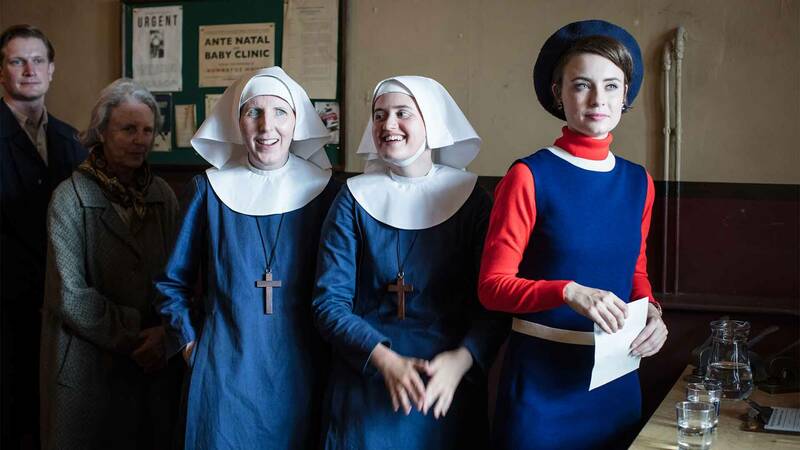 After Sister Ursula took away fun in Season 6 — the midwives lost their television privileges amongst other things (#neverforget) — a new television has finally found its way into the house. And let’s just say that with the incoming blizzard, the midwives could use some TV time to help them cope. But more on that later. Meanwhile at the Hereward’s, Tom and Barbara are confronting one of their first tough decisions as newlyweds together — and no, it’s not whether or not Barbara should reconsider that hat, but they can always revisit that conversation at a later date (sorry, Barb). Instead, Tom reveals that he’s been asked to temporarily take over a church in Birmingham. Though they would only be gone for six months, Tom questions whether or not he should leave his current parish, which he has grown so fond of, and uproot Barbara from her workplace. Back at Nonnatus House, the midwives are experiencing the first of England’s Boxing Day snowstorm. As it usually does for anyone who doesn’t enjoy shoveling snow or attempting to gracefully traverse icy sidewalks, the cold is ruining everything in Poplar. The drop in temperature has caused pipes to freeze over, flooding the midwives’ clinic; the Poplar milkmen have suspended their deliveries to the community (what will the Britons do without milk for their tea?! ); and Trixie’s beau, Christopher, has been snowed in at Nonnatus House — how convenient. 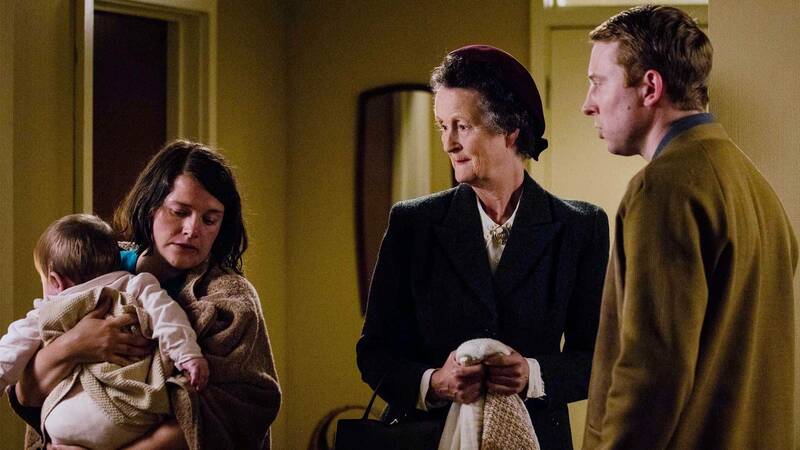 As it turns out however, Christopher’s presence proves to be quite useful for the midwives. When the water in the house’s only indoor toilet freezes, Christopher comes to the rescue by fixing the outdoor lavatory for them. Plumbing issues and a handsome dentist — it doesn’t get more romantic than that, does it ladies? OK, but onto more pressing matters like babies and whatnot. While the others attend to the ~facilities~ and try to survive the cold, dark British winters, Valerie receives a new patient, Linda, a young woman who promptly reveals that her boyfriend Selwyn is not the father of her child. Though she admits that Selwyn has promised to love her baby as his own, she voices her concerns about this to Valerie who tries her best to not look uncomfortable, as one does when a stranger shares their life story with you. She assures Linda that Selwyn can take on the role of a father if he believes he can. Elsewhere in the Poplar tundra, Fred and Dr. Turner are dealing with a dilemma of their own when they stumble upon a resident of the community buried in the snow. Dr. Turner speculates that the man must have become disoriented in the snowstorm, losing his way home and succumbing to the freezing temperatures. Dr. Turner soon identifies the deceased man as one of his recent patients, Percy Tillerson. But don’t mourn yet. After receiving the news of the elderly man’s death, Sister Julienne notifies Percy’s wife, Mabel, expecting that she’ll be comforting a grieving widow. However, she meets a woman scarred and frightened after years of abuse at the hands of her husband. And as Sister Julienne soon discovers, Percy not only assaulted Mabel, but abused his son and daughter as well. Mabel explains that while her son later died of cholera during WWII, their daughter Anthea “ran away” years ago. This however, is far from the truth. 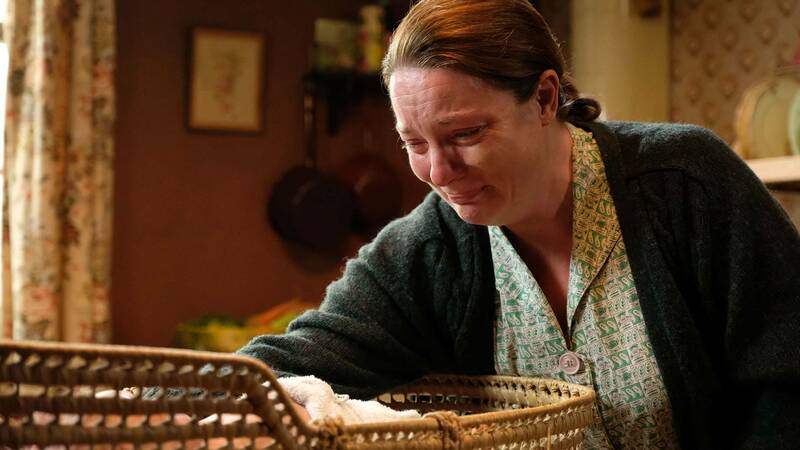 Sister Julienne later learns from Anthea herself that Percy actually threw her out of the house when he discovered she was pregnant — with his child. Yet despite the traumatic events of her childhood, we see that Anthea has made a life for herself with a growing family of her own and as a loving foster mother. 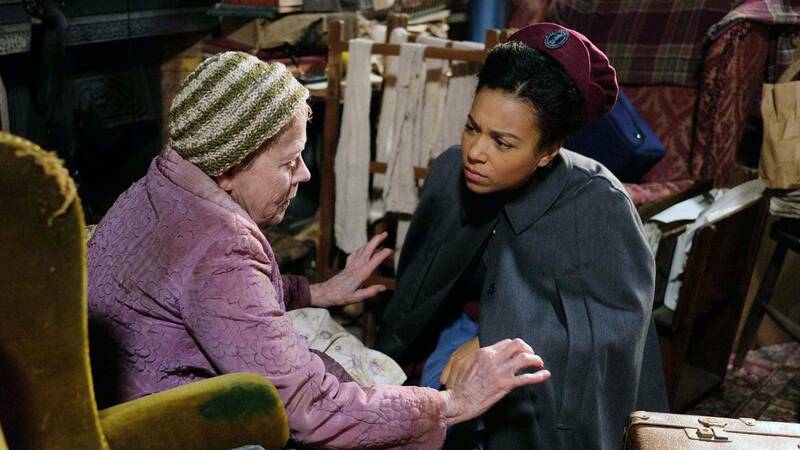 Though Anthea confesses that she’s held onto a 10-shilling note her mother slipped into her coat pocket the night she was forced to leave, she still refuses to make amends. She explains to Sister Julienne that she wants to keep every memory and person from those events in the past. The baby is alive. We’re not kidding. A small cry emerges from Valerie’s medical bag and when she opens it, in disbelief, she sees that Linda’s little boy is in fact healthy and breathing. We’re not going to question how this is medically possible, because this is the Holiday Special and baby John is the happy ending and belated Christmas miracle everyone needed. Really though… our hearts are becoming too fragile for this. Brace yourself, because this roller coaster of intense feels is not over yet. Despite Anthea’s initial refusal to ever see her mother again, she surprises both Mabel and Sister Julienne when she makes an appearance at a Christmas dinner that Nonnatus House has prepared for the elderly with her husband and children. Returning the 10-shilling note to Mabel, she puts everything behind her, hoping to start a new chapter with her mother in her life. With new beginnings for Linda and Selwyn, and Mabel and Anthea, it only makes sense that this Holiday Special conclude with a new adventure for Barbara and Tom as well. Bidding adieu to their friends, they depart for Birmingham, leaving us to wonder what we can expect from them and the rest of Nonnatus House next season.